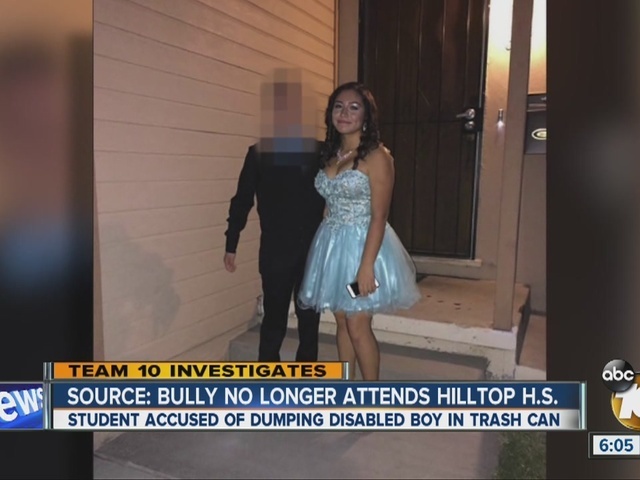 Students at Hilltop High in Chula Vista are backing a disabled boy bullied and tossed in a trash can. That boy’s friends tell 10News their school isn't doing anything about it. Ariana Espinoza refuses to sit back and let what happened to her Homecoming date be swept under the rug. Last Wednesday, a partially paralyzed boy at Hilltop High says he was changing for P.E. when another boy picked him up and tossed him in a trash can. The bully recorded it and posted it on Snapchat. “They may say bullying is not ok, but the school is not reinforcing that rule, so it's opening the door for all the other bullies to say 'hey, this guy didn't get in trouble so I can do it as well and nothing will happen,'” said Espinoza. The district wouldn't say what disciplinary action they took against the bully, but students told 10News he has been at school while the victim is too humiliated to return. Since breaking this story Friday, 10News has gotten countless emails and our Facebook page has been flooded with angry messages to the principal for not being tougher on the bully. 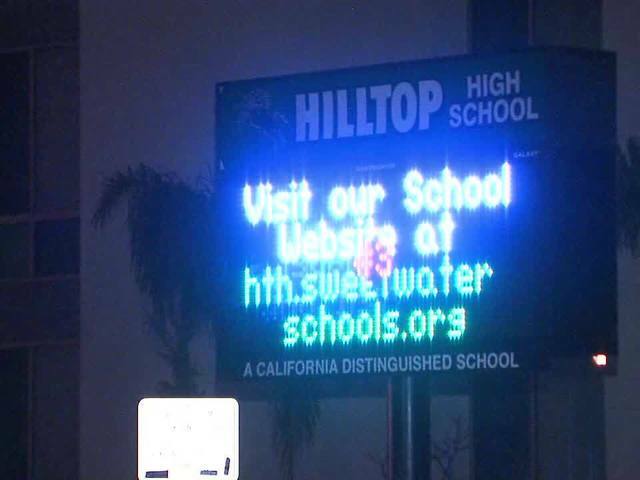 “Honestly, because of this I'm kind of ashamed to say that I'm going to Hilltop,” Espinoza said. We left two messages with the district's public information officer Monday, but have not heard back. Several students told 10News the Principal is saying what the boy did was not bullying but a poor choice. “If that's not bullying I don't know what bullying is,” said Espinoza. “They're saying it's ok to bully. Go ahead and do it and you're not going to get reprimanded,” said Claudia Lopez, Espinoza's mother. Now, students have taken to social media, urging their friends to write letters to the principal. The student behind the letter campaign plans to collect them and hand them to the principal by Friday.